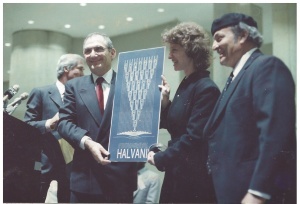 In 1984 Victor exhibited for the first time in his life at the Art Expo exhibit in New York. At this exhibit he was introduced to the American audience and began to become known amongst art lovers and collectors worldwide. At the next year’s exhibit he heard that in 1986 a new building will be inaugurated for the New York Exhibit. With Israeli boldness he approached the exhibit’s organizers and showed them the drawing for his sculpture “Jacob’s Dream”. 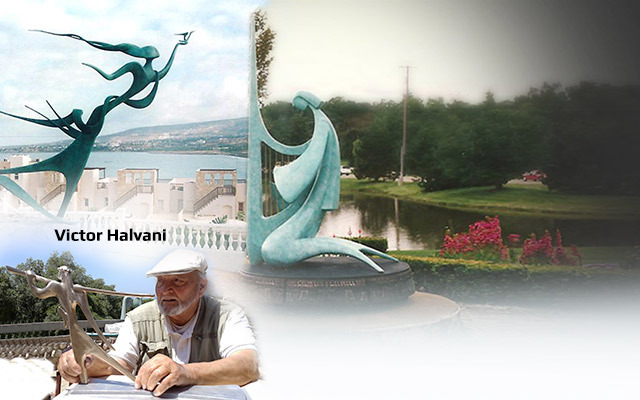 The innovative and inspiring idea of the Israeli artist crossed borders and hearts and the monumental sculpture was chosen for the inauguration of the Jacob Javits international art congress building, and opened the Art Expo exhibit in New York 1986. From 1984 until 2001 the artist regularly exhibited in New York, around the United States, Canada, and Japan. His connections with art enthusiasts and collectors worldwide intensified, and he was invited to many exhibits and partnered in many events and artistic projects. During decades of exhibits. 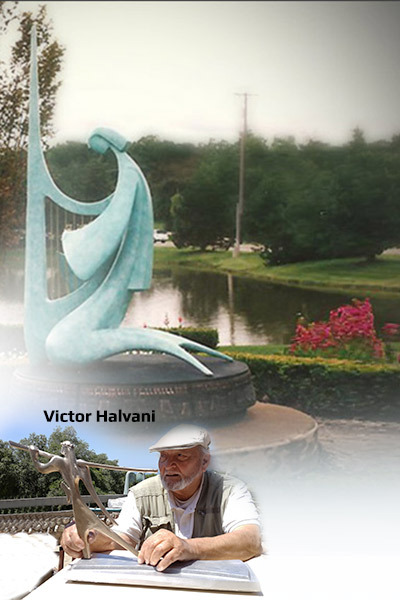 Activity, and creativity, many sculptures were bought and placed in public spaces such as the Universities in Boston and Oklahoma, few of the reform Temple Israel synagogues in the U.S., the public hospital in Wilhelmshaven, Germany, in West Bloomfield, Michigan, Palm Beach and Miami Florida, and in parks, gardens, and many private collections.